View the photo gallery from our 2014 event. Come join us for our next program! Calling all kids who want to check out a pipe organ. No experience necessary. Piano students welcome! 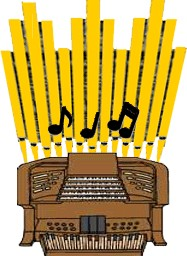 Kids can "meet" a real pipe organ on March 5 at 10:00 AM at Jones Chapel on the campus of Meredith University in Raleigh (3800 Hillsborough Street Raleigh, NC 27607). This event is aimed at kids who are interested in "meeting" a real pipe organ. Lee Harris will demonstrate the organ, introduce students to the different kinds of pipes, and give them an opportunity to play. No organ experience is needed—pianists are encouraged to come, but anyone can experience the joy of the sound that a real pipe organ makes. To top off the day, participants will celebrate with a pizza lunch—all free of charge. The event is sponsored by the Central North Carolina Chapter of the American Guild of Organists. To register (or for more information) please contact Lee Harris (919-757-2469) or pichpipe@bellsouth.net.